On April 26, both our spring cohort and the fall cohort joined together to enjoy a day of corporate visits, guest lectures and the John Gongos Scholarship Event with marketing research professionals. The cohorts began their day by visiting GTB (Global Team Blue), the main advertising agency for Ford Motor Company. As an agency known for their advanced analytics, GTB is a company partner of the MSMR program. While at the agency, current employees took students on tours of their facility, introducing them to each department. Following the tour, GTB gave an extensive presentation on their analytics, data processing and project planning. Completing the visit, students were able to see Phillip Phillips live, as GTB brings in live performers monthly for employee appreciation. Continuing on their field trip, both groups then traveled to Chrysler’s Mopar branch in Detroit. 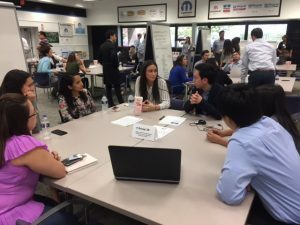 Mopar, the parts, services and customer care organization within Fiat Chrysler Automobiles (FCA), offered students in an in-depth look into their operations, social media and marketing. 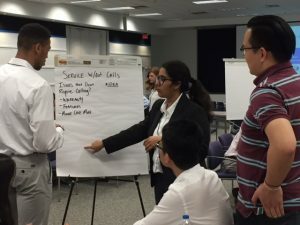 After learning about their company, students completed projects on different aspects of their business, including social media, new target markets, and customer service which they then presented to the management team at Mopar. After two insightful corporate visits, it was onto the MSU Management Education Center to hear Debbie Pruent’s advice on how the marketing research industry is changing. Debbie is the past COO and member of the management board of GfK, her vast knowledge of the industry offered students a look into what they can expect in their marketing research careers. 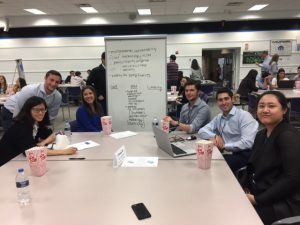 Following Debbie’s guest lecture the cohorts attended the John Gongos Scholarship Event, where they networked with marketing research professionals from the metro Detroit area. The event featured keynote speaker, Andrew Norton, Executive Director of Global Market Research and Volume Forecasting & Competitive Intelligence at General Motors. 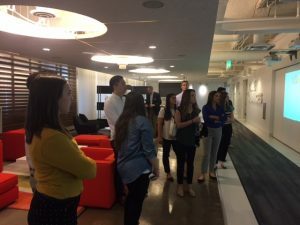 Overall, the MSMR cohorts walked away from their fieldtrip with valuable advice, new contacts and a better understanding of marketing research and how it differs from industry to industry. Having the opportunity to travel to the Bay Area on our program’s Tech Trek over break went beyond expectations.